The subject of this report is the systemic forcible detention of people in the closed parts of the Winter Reception and Transit Centre in Slavonski Brod. These individuals were either separated off during the registration procedure in Slavonski Brod and banned from continuing their journey, or they were pushed back to Croatia after having been separated off in camps and border crossings in Austria and Slovenia and prohibited from re-entering these countries. Forcible detention in the Winter Reception and Transit Centre began in late November 2015 and continued over the following months, becoming a regular practice affecting growing numbers of people. 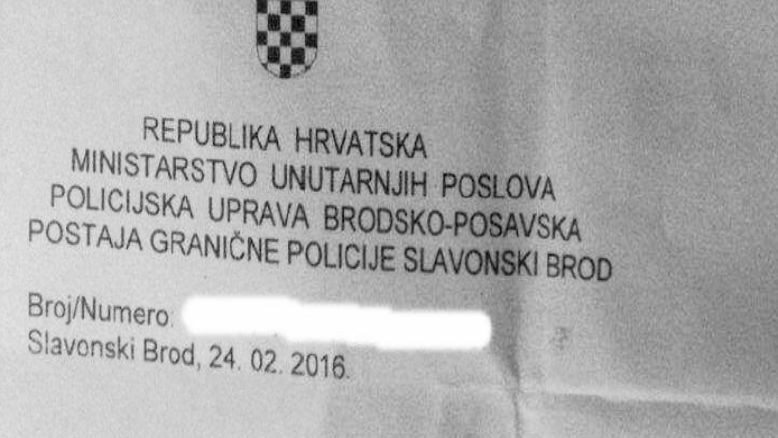 By the end of January 2016, there were around 20 to 60 forcibly detained people in Slavonski Brod every day and in February and March 2016 this number reached several hundred people a day. The total number of people who were forcibly detained in the closed parts of the camp in Slavonski Brod is not publicly available. However, a reconstruction based on the data provided in the daily reports of the Welcome Initiative and published in the Are You Syrious? Daily News Digest suggests that during the past four months, under the powers of the Croatian Ministry of the Interior, at least 600 people of different nationalities and ages were imprisoned there (some in de facto detention, some kept there as a result of being prohibited from leaving the camp under Article 112, paragraph 7 of the Croatian Aliens Act). Since independent observers, media, and most volunteers were denied access to the sectors of the Winter Reception and Transit Centre in Slavonski Brod where people were forcibly detained, this report is based primarily on observations and interviews conducted by independent activists from Zagreb and volunteers of civil society organisations in Slavonski Brod. In particular, it is based on the testimonies of individuals whom we met during February and March 2016 at the main train station in Zagreb and who were previously detained in the Winter Reception and Transit Centre in Slavonski Brod, as well as the testimonies of detainees in the Winter Reception and Transit Centre in Slavonski Brod with whom we established contact through social media and mobile communications. Their testimonies were supported by the testimony of a volunteer in Dobova camp in Slovenia, which we consider relevant for purposes of comparison, but also because it points to the discriminatory decisions and actions that are, through the system of pushbacks throughout the Balkan corridor, directly connected to the subject of this report. In its methodology and conclusions, this report supplements the previous reports of Moving Europe (published on February 2, 18 and 26, 2016) on the application of illegal measures and breaches of the 1951 UN Refugee Convention, as well as many other international legal commitments to which the countries along the Balkan corridor are signatories. The testimonies presented in these reports show how political agreements concerning the closing of borders, affected the individual lives of people in search of international protection. They also reveal the arbitrariness, bias and illegitimacy of the decisions and practices implemented by the governments of Austria, Slovenia and Croatia. Among those decisions and practices, we especially wish to draw attention to the so-called profiling and forcible detention. Profiling, which ultimately led to the maintaining of the so-called caps and which was implemented with the help of unauthorized and unprofessional individuals (i.e. interpreters) by the Austrian, Slovenian and Croatian police, resulted in large-scale forcible detention.